This 12m giant open air cinema screen system is the biggest available. Choose this screen for old style drive-in movies, local car clubs events, moonlight cinema in the park, and large community festivals. Feeling nostalgic or have a large area, car park, or field that needs some excitement? 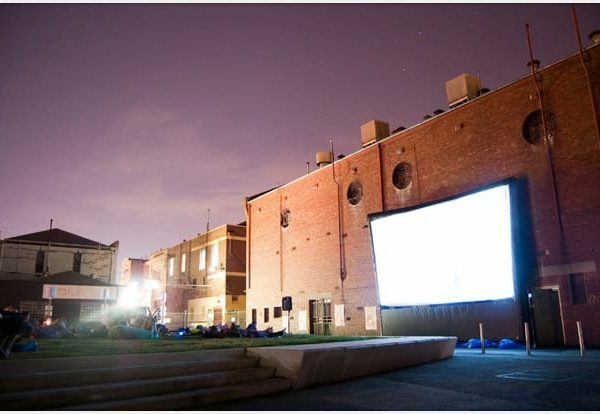 Turn this space into the open air cinema with help of this massive blow up outdoor movie screen! 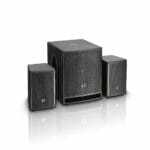 The package comes complete with the equipment to match, including a super bright projector, a mighty sound system, and an AV control unit. This outdoor cinema package is sure to impress the big audience – invite up to 3000 people for a grand movie night! 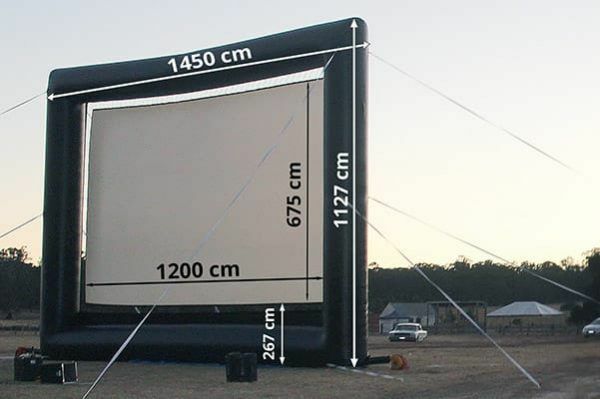 This huge outdoor movie screen features the screen surface 12 m wide. We have multiple options to s uit your needs. If you organise a drive-in, you would need RF Transmitters; to show live TV in remote locations, we offer a satellite package and a SmartBox® Platinum VAST with built-in VAST Decoder. The standard projector supplied with a package is 6000 ANSI Lumen bright. However, we are happy to offer you such options as a short throw lens, or even brighter projector. The SmartBox® Platinum is the ultimate convenient and portable AV control system. 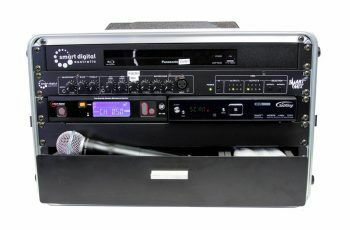 Thanks to the unique design, it allows for plug and play connectivity and minimizes setup time; moreover, it reduces the need for on-the-show fault finding. Five-inch preview monitor enables the operator to take full control of the image shown on the big screen. In addition, with attachable front and back casings, SmartBox® Platinum is fully enclosed for easy transport, storage, and easy set up for operation. Do you need more information? Contact us today to discuss your requirements!